Brian Crighton of Crighton Racing is set on breathing new life into the world of rotary motorcycles. Their CR700P is a new breed of superbike capable of things once thought unheard of. With a long running history of rotary success, Brian Crighton once again envisions a rotary powered motorcycle that can steal the top step of the podium. If you are a fan of rotary motorcycles the name Brian Crighton should sound very familiar. If you are unfamiliar let me give you the run down. Brian can single-handedly be credited for Norton’s foray into the racing world back in the 80’s. From the late 70’s and all the way through the 80’s almost every manufacturer tried to make at least one rotary powered motorcycle a reality. Long story short, they didn’t work. If they even made it past the prototype phase they managed few buyers, resulting in the model, or in some cases the company, being axed. 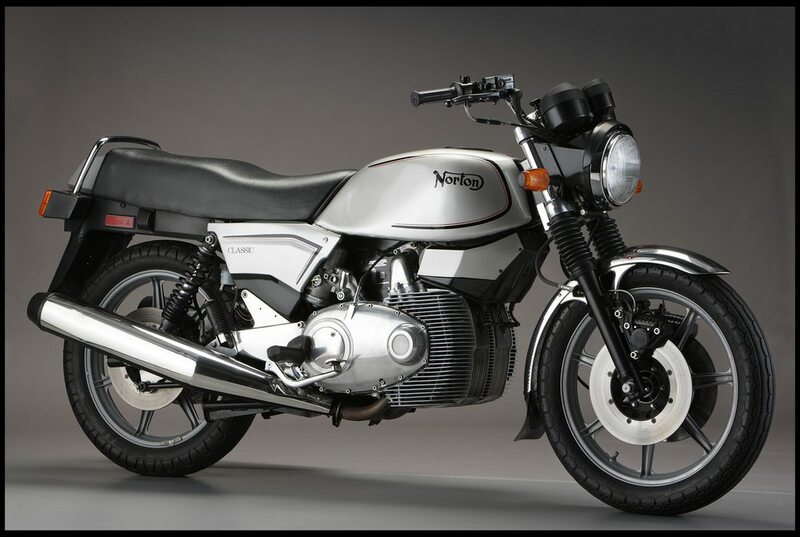 Suzuki and Norton were the only two companies that actually managed to pull off a successful run of production rotary machines. Suzuki’s RE5 was a single rotor machine that sold well because it didn’t promise much. It was smooth and comfortable to ride with fair styling, essentially the white bread of the motorcycle world. Norton on the other hand went all in building a slew of models all powered by the Wankle two-rotor engine. In 1986 Brian Crighton was brought on the Norton team a service engineer. After deeply studying the Wankle rotary engine Brian had established that he could boost the power from the Wankle from 85hp to an impressive 120hp. Norton wasn’t entirely convinced, making Brian prove his work. Brian worked on a discarded engine in his own time, painstakingly re-engineering the engine for more power. He was successful, and his claim of 120hp was spot on. With this he convinced Norton to put the engine in a prototype motorcycle. The results came back, and it was fast! The prototype machine won its second ever race, prompting Norton to fully fund a factory racing team. The bike they landed on for racing was called the Norton RCW588. Over the next few years, the RCW588 would see great success on the circuit. It was used to compete in multiple classes, doing well in almost all of them. Brian was the brainchild behind the entire project, eventually taking the reins from Norton. He ran his own team until 1995 when unfortunately Norton went out of business. But Brian Crighton never stopped. He has a vision of what potential the rotary engine has in motorcycle racing, and won’t stop until that becomes reality. Well, the reality may finally be here and it’s in the form of Brian’s latest creation, the CR700P. The CR700P is Brian’s ultimate rotary concoction, blending his years of experience into one amazing machine. 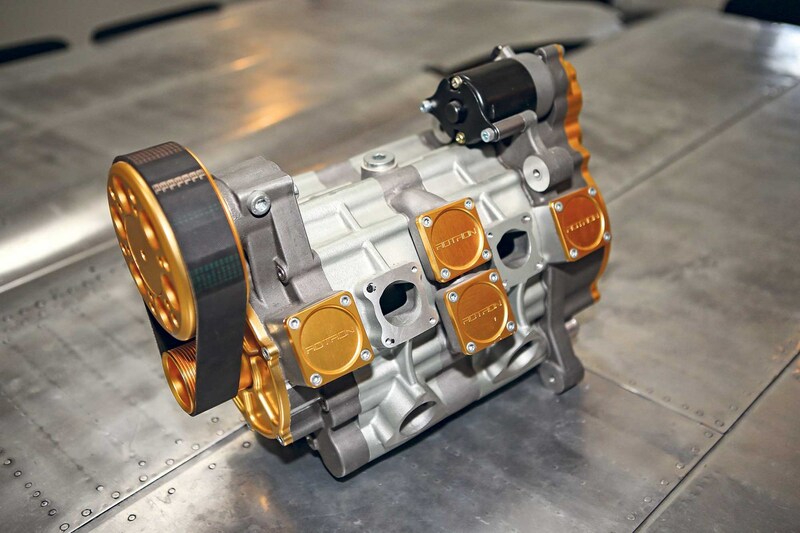 At the heart of the CR700P is an all new Rotron rotary engine of 700cc displacement. It has been worked over by the Crighton team to now produce a blistering 200-horsepower. That’s BMW S1000RR territory. The CR700P also makes all that power at 11k RPM. The mighty rotary also makes 100ft-lbs of torque at 9k rpm, putting the CR700P above almost all the factory literbikes in that regard. And the delivery is apparently silky smooth, which makes getting all that power down even more attainable. With the potent engine the CR700P has the potential to be a real threat. To compliment that fact they had a custom chassis made, utilizing a beam frame and swingarm made from 7000 series aluminum. The resulting package is extremely lightweight while maintaining the needed stiffness to get the power down. Combined with the lightweight design nature of the rotary engine we are left with a stunning 299lbs wet weight. Less than 300lbs! That’s absurd. A Yamaha R3 weighs 368lbs wet and only makes 42-horsepower. Hell the new BMW HP4 RACE outpaces the CR700P by only 15-horsepower and is 78-pounds heavier. That is a power to weight ratio only a GP bike can beat. For the suspension, Crighton went a little unorthodox and used a direct linkage rear shock instead of the traditional dog bone linkage. This gives the CR700P a unique look and Crighton claims it gives the bike much better feel. The front forks are provided by Bitubo, with both ends of the suspension shroud in carbon fiber rims. To stop the mighty Wankle, Crighton used the biggest name in the game, Brembo. And to finish it all off the body is a full fiberglass unit that has been designed to be as aerodynamic as possible, while the vents are functional ram air units that help keep the rotary cool. The CR700P still has a lot of work ahead to prove itself against its piston-laden brethren, but it’s already come out of the gates swinging. One of the biggest hurdles will be finding a class where it will be legal to race in. The rules have changed drastically since the last rotary was present on the grid, and they may take some serious rewriting to allow for such a radical machine. I for one hope it happens. I would love to hear that rotary singing down a straight away. Brian Crighton didn’t just resurrect an old project in an attempt to relive old glory. Instead he created a new breed of superbike, and this type breaths fire. Just listen for yourself.